ZAP Engineering and Construction Services, Inc. (ZAP ECS), a leading full service engineering and construction management company serving the gas processing, pipeline, field services, petroleum, refinery, chemical and alternative energy industries, names Carl Soderman as President to manage the firms substantial team growth experienced over the past year and lead the firm into the future. Uniseal, Incorporated has announced it’s entry into the Solar Energy field, with its SolFusion™ family of adhesives and sealants for Photovoltaic, Concentrated Photovoltaic, and Concentrated Solar Thermal devices and racking systems. Brandon Willis, Business Development Manger for Renewable Energy, will lead the company’s efforts in bringing advanced products that directly contribute to increased efficiency, improved service life and reliability, and lower cost per watt to the industry. Uniseal SolFusion™ products are available world-wide. The product line includes solutions for the fabrication, assembly, attachment, and installation of crystalline and thin film photovoltaics as well as concentrating PV and solar thermal devices. The company will exhibit at Solar Power International in Los Angeles, October 12-14, Kentia Hall Booth #5718. Oil & gas companies have mobile and stationary assets distributed across thousands of square miles – and have immense volumes of with data on every aspect of their business growing by the hour. Composite applications f r o m Space-Time Insight (www.spacetimeinsight.com) leverage oil and gas companies’ prior investments in technology to deliver real-time, comprehensive situational awareness all on one screen – and the ability to take action f r o m the same screen. This helps oil and gas companies realize their vision of managing operations in real-time and on-demand. Oil and gas companies that do manage their operations in real-time and on demand can dramatically increase field productivity, decrease operating costs, and increase average production rates. The Space-Time Insight solution for the oil and gas industry is available now and includes the Space-Time Asset Composite and Space-Time Crisis Composite, tailored for the oil & gas industry. For more information on the solution, to see a recorded product demonstration, or read a white paper about how Space-Time Insight delivers benefits to the oil & gas industry, visit www.spacetimeinsight.com. Space-Time Insight composite applications for the oil and gas industry automatically integrate features and data f r o m geographic information systems (GIS), real-time weather, data feeds, real-time environmental and equipment sensor data feeds, and data f r o m enterprise systems for asset management (EAM), production forecasting, field engineer scheduling and dispatch, cost analysis, environmental, health, and safety (EHS), and compliance, and inventory systems. Composite features include visual environmental impact indexing and features enabling condition-based and proactive maintenance. Benefits include the ability to prevent minimize downtime, prevent or proactively mitigate leaks and spills, and increase production rates through improved asset performance. Space-Time Insight products deliver intuitive, geospatial-temporal visualizations, contextual real-time analytics, condition-based alerts, remedial action schemes, and workflow links that enable accelerated, geo-aware responses – f r o m a single screen. With a change of name to FLABEG Technical Glass U.S. Corp. the acquisition of Naugatuck Glass, Connecticut, initiated in mid-2008, is now complete. By this move FLABEG has expanded its solar portfolio with a focus on thin glass technology for solar applications. In the field of machining and finishing of thin glass with strengths of 0.95 mm, Naugatuck Glass acquired a leading position. And now FLABEG is building on this experience to develop strategically ist future orientation as a leading supplier in the field of concentrating solar thermal power plants (CSP). Additionally, in this context, it is also pressing ahead with the development of lead-and copper-free protection and coating systems for solar energy applications. “Even for parabolic-reflector power stations thinner glass units are interesting. The thinner the glass, the higher the degree of reflection,” explains Axel Buchholz, CEO of the FLABEG Group. Thus FLABEG is once again manifesting its role as an experienced and innovative partner for plant operators. FLABEG, founded in 1882, is an independent company with ten manufacturing facilities in Europe, America and Asia. FLABEG is active in the commercial sectors of automotive mirrors, solar glass mirrors and technical glass, specializing in all processes of glass finishing, and sets technological standard in terms of the company‘s core competencies – bending and coating. Mirror components, bending and the application of optical and functional layers also rank among the core competencies of FLABEG Technical Glass U.S. Corp., (formerly Naugatuck Glass, founded in 1927) so that FLABEG now virtually covers the spectrum of flat glass processing. After 14 years of research and endless trials in the field of practical photo luminescent application, a unique product has emerged, and it’s been recognized by greenhomehints.com as a product contributing to making the planet a greener and healthier place for all. After-Lite Energy-Free Lighting performs absolutely as described. Its creator, Tim S. LeMaster, a professional inventor for the past 25 years, is no newcomer to the universe of photo luminescent technology. He has succeeded in taking what one used to think of as a glow-in-the-dark novelty and elevated it to a legitimate player in the quest for a greener, more energy-efficient lifestyle. Here is a quick overview of what differentiates After-Lite from its glow-in-the-dark predecessors: It begins with a variety of advanced, high-grade, photo luminescent crystals. These proprietary rare earth minerals are processed under intense heat and pressure by a leading developer of unique photo luminescent safety products. The result is remarkable product that glows brightly for hours without requiring an energy source. LeMaster calls his creation a Crystal Energy Cell (CEC). The crystal energy cell absorbs light, natural or manmade, during daylight hours or at times when a space is artificially lit. Absorbed light, in the form of photons, is stored by the crystal energy cell. Then, in low light or dark conditions, those photons are released, resulting in a soothing green glow allowing that space to be negotiated safely for hours without requiring energy to illuminate. A CEC charged by the sun for as little as 3 minutes can be taken into a dark room and function nearly as effectively as a flashlight. Longer exposure to brighter, broader-spectrum light results in a brighter, longer-lasting illumination. When partnered with a compact fluorescent light bulb (a proven energy-saver) the After-Lite Energy-Free System is a positive solution to generating light while contributing the the green initiative by not requiring energy to operate once it is in use. Remarkably, the CEC will never loose its ability to recharge. Remove it from a failed light and attach it to a new bulb to provide light energy-free, over and over. Not only does the product save energy, it has positive security and safety benefits as well. “Photo luminescence has already proved itself to be a lifesaver.” LeMaster says. Photo luminescent paint was utilized in the World Trade Center towers after the first terrorist attack in 1993. Its widespread application provided visibility after power outages in the attack of 9/11 and has been credited for saving many lives. After-Lite provides safety and comfort benefits. An After-Lite crystal energy cell will illuminate a room when the power goes out allowing safe negotiation around the room; or function as an energy-free night-light. To casually compare the cost of a package of compact fluorescent light bulbs available at a retailer to the price of a complete After-Lite system is inaccurate. www.AccessDiscounts.com – a leading supplier of commercial lighting, residential lighting and grow lights, today announced its sale on outdoor energy saving lights in recognition of Daylight Savings Time. The line of outdoor energy saving light fixtures come in variety in styles and provide additional light to dark entryways. Energy saving lights like those available at Access Discounts are an excellent way to address safety issues, increase home value and curb appeal while supporting green energy solutions. The Daylight Savings Sale features eco-friendly residential lights offering customers significant savings. From hanging lanterns to wall mounted lights, Access Discounts provides affordable lighting solutions for interior and exterior lighting needs. The use of outdoor lighting fixtures such as the Hunter Kenroy collection offers brighter solutions that are conducive to the green movement. Access Discounts offers low cost solutions for residential and commercial lighting solutions that are high quality and energy efficient. The online retailer provides 100% American made commercial lighting products guaranteed to be of the highest quality lights meeting ETL, UL & CUL standards. Customers can experience significant savings on residential lights designed for residential or commercial exteriors, entry ways, stairways, parking garages, or storage areas. “As the economy continues to wane, we know that both low cost and energy saving solutions are more important than ever. Access Discounts offers instant savings to businesses and consumers. Shoppers can benefit from our site-wide cost savings and shipping promotions,” stated Christina Roush, spokesperson for Access Discounts. By offering precision engineered products, Access Discounts brings the very best in energy efficient lighting solutions to market while passing savings on to their customers. Customers can take advantage of Access Discounts’ price breaks and implement power saving and cost saving solutions with minimal investment. For more information on outdoor residential lights on sale, please visit http://www.accessdiscounts.com. AccessDiscounts.com provides a wide selection of grow lights, residential lighting andcommercial lighting of the highest quality. Leveraging the close relationships developed with top lighting manufacturers, Access Discounts is able to provide the very best in lighting solutions at affordable prices. As a leading supplier of lighting fixtures for horticultural lighting, indoor and outdoor lighting, Access Discounts strives to bring quality lighting to customers nationwide. Founded in 2002 with headquarters in Milpitas, CA AccessDiscounts.com offers lights, lighting fixtures and accessories for residential, commercial and horticulture lighting needs. For more information, please visithttp://www.AccessDiscounts.com. Commonwealth Capital Advisors (CCA) reached yet another milestone when it released a new software module of Financial Architect®. OIL & GAS Producer™ is revolutionizing the way start-up and early-stage Oil & Gas producers are raising substantial amounts of capital using the techniques of Wall Street investment banks. 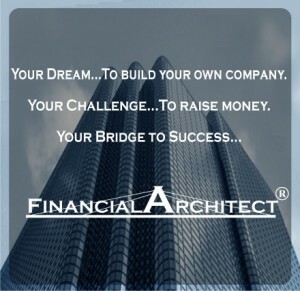 Financial Architect® as the Premier Expert System for start-up, early-stage and seasoned companies, that seek capital. The patent pending, software based, Financial Architect® is a system and method of reducing the cost of raising capital, as so states the abstract of its patent application. Financial Architect® enables entrepreneurs to: valuate their company pre and post-money; create “marketable deal structures” for securities to be offered that are designed to sell into today’s private equity markets; create the required securities offering documents compliant with federal and state securities laws, rules and regulations; and access to accredited “angel” investors, private equity funds, hedge funds, registered investment advisors, broker-dealers and many other sources of capital, around the world, that have a specific interest in funding start-up and early-stage companies. Access to investors, more Wall Street secrets and techniques, as well as, regulatory guidance is located in the password-protected “Commonwealth Capital Club” located on CCA’s website and is part of Financial Architect®. Timothy D. Hogan, Founder & CEO: Commonwealth Capital Advisors “When it comes to raising capital, there is no simpler way to explain how to effectively raise substantial amounts of capital while maintaining voting control. If you read just the first 2-Chapters of the Ebook, “The Secrets of Wall St. – Raising Capital for Start-Up and Early Stage Companies,” it would be time well spent. By doing so, you will be able to make an informed decision if our process is right for your company’s capital raising needs. At a minimum, you will save a significant amount of time, money and headaches trying to figure out how the world of capital really works,” Hogan concluded. www.AccessDiscounts.us – a leading supplier of commercial lighting, residential lighting and grow lights, today announced the newest inventory of energy saving lights including compact fluorescent hi bay fixtures that provide environmentally conscious lighting customers more options in green lighting solutions. With it’s up-light components, the 22″ acrylic CFL high bay fixture is UL listed and the reflector has a 92.5 total luminaries efficiency, which is ideal for light colored ceilings. The overall height is 22.3″ with a 15.07 ballast housing offering substantial light at lower energy savings costs. Ideal for commercial, the 22″ acrylic CFL high bay fluorescent light fixtures bring value not only in the form of green lighting and energy efficient savings, but the cost in comparison to alternative lighting solutions is a substantial benefit as well. Customers can experience significant savings on commercial lights including high bay aluminum lights, low bay lights as well as wall packs designed for residential or commercial exteriors, entry ways, stairways, parking garages, or storage areas. “With the economic slow down and soaring energy costs happening today, it is crucial for organizations to offset costs wherever possible. With the instant savings offered by Access Discounts businesses and consumers can leverage the site-wide cost savings and add value all the while minimizing the costs associated with rising energy costs,” stated Christina Roush, spokesperson for Access Discounts. AccessDiscounts.us provides a wide selection of grow lights, residential lighting andcommercial lighting of the highest quality. Leveraging the close relationships developed with top lighting manufacturers, Access Discounts is able to provide the very best in lighting solutions at affordable prices. As a leading supplier of lighting fixtures for horticultural lighting, indoor and outdoor lighting, Access Discounts strives to bring quality lighting to customers nationwide. Founded in 2002 with headquarters in Milpitas, CA AccessDiscounts.us offers lights, lighting fixtures and accessories for residential, commercial and horticulture lighting needs. For more information, please visithttp://www.AccessDiscounts.us. Aeris Communications, the leading wireless communications service provider dedicated exclusively to the Machine-to-Machine (M2M) and telematics marketplace across North America, today announced the company has added an article reviewing smart energy solutions to its Website. The article provides an overview of Advanced Metering Infrastructure (AMI), an “intelligent” technology that includes metering systems capable of recording and reporting energy consumption and other measurements at more frequent intervals than the typical billing cycle (usually monthly). The full article is available for viewing at http://www.aeris.net/articles/advanced-metering-infrastructure-ami.html. Readily deployed over wireless networks, advanced metering technology will work with today’s energy sources (gas, water, electricity) and provides answers for management and conservation of future renewable energy grids. Through the use of AMI, development and management of new power markets promises both a brighter and greener future for all involved in the energy equation. The article provides an overview of current and future uses of AMI and provides details about the benefits of implementing AMI including improved network reliability and system responsiveness as well as increased meter functionality. The article also outlines economic and environmental efficiencies. Aeris is the leading wireless communications service provider dedicated exclusively to the Machine-to-Machine (M2M) and Telematics marketplace across North America. Aeris has assembled and seamlessly integrated its top tier carrier partner networks through AerFrame™ to provide customers with simplified, unified, reliable, and even customized network services for M2M and Telematics applications. Since 1992, Aeris has developed expertise and patented technologies now proven on millions of devices and billions of messages per year. Aeris provides expert services, superior reliability, broader coverage, lower latency, and unsurpassed customer support and managed services. For more information, please visit http://www.aeris.net or call 1-888-GO-AERIS. With the heat still affecting much of the USA, sitting back in the easy chair in a warm home is probably the last thing homeowners would be thinking about in late September. However, it is time to be thinking of an alternative heating solution for your home. 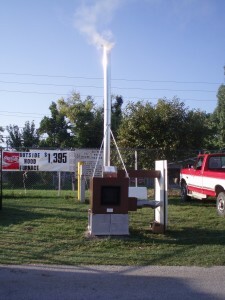 Instead of letting your money go up the chimney, why not look into a forced air wood burning furnace that sits outside. Scott Bradley an expert in outside wood heaters at Bradley Enterprises suggests that now is the time to be selecting a heater and getting it installed prior to the heating season. If you have access to wood, and live in a mainly rural area an outdoor wood heater would be the ideal alternative heat source for your home or shop. Always be sure and check with your local zoning board to make sure a unit could be installed on your property. 1. China and India and other areas of the world have a strong demand for diesel fuel which is similar to home heating oil. 2. Tight crude supply and political unrest in several areas of the world (Middle East tension, Iran, Nigeria just to name a few places). 3. Hurricane related interruptions in supply. 4. A lack of excess production capacity, in the past other areas of the world could make up for production disruptions in another area. Now, with an increase in demand all over the world the excess does not exist. 5. The amount of winter weather we have as transportation of heating oil can be slowed by snowy roads or frozen rivers. These are just some of the reasons heating your home could be more expensive this winter season. All the different heating source usually follow one another in pricing during a winter season. Homeowners that are interested in burning wood in a outside wood heater should find them priced from $1400.00 to $7-8000 dollars it will depend on the style, options or size of the heating unit. More information on outside heating units can be found online very easily by using a search engine like Google or Yahoo. Looking for information by using “outside wood heater, outside wood furnace, outdoor furnace” will bring up a variety of manufacturers product lines. For more information on the news included in this release (or an interview) contact Scott Bradley or visit www.outsidewoodheater.com. In business over 19 years selling forced air outside wood furnaces locally and shipping throughout the entire USA from the website. Number one in sales volume of the Lil’house outside the house forced air wood furnace.